Featuring a rich cast of rogues and some of the world’s most prestigious art institutions, this true-life thriller completely exposes the network behind the illegal trade in ancient artefacts. The story begins, as stories do in all good thrillers, with a botched robbery and a police chase. Eight Apuleian vases of the fourth century BC are discovered in the swimming pool of a German-based art smuggler. More valuable than the recovery of the vases, however, is the discovery of the smuggler’s card index detailing his deals and dealers. It reveals the existence of a web of tombaroli – tomb raiders – who steal classical artefacts, and a network of dealers and smugglers who spirit them out of Italy and into the hands of wealthy collectors and museums. Peter Watson, a former investigative journalist for “The Sunday Times”, and author of two previous exposes of art world scandals, names the key figures in this network that has depleted Europe’s classical artefacts. As an expert witness in the trial of Giacomo Medici, the antiquities dealer who is the linchpin of the story, Watson was given access to hundreds of thousands of documents, objects and photographs that paint the only full picture of this shady underworld. 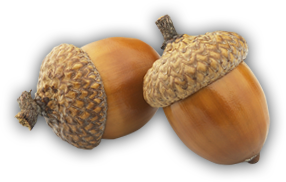 Among the loot are the irreplaceable and highly collectable vases of Euphronius, the equivalent in their field of the sculpture of Bernini, or the painting of Michelangelo. The narrative leads to the doors of some major institutions including Sotheby’s, the Getty Museum in LA, the Museum of Fine Arts in Boston and the Metropolitan Museum of Art in New York. 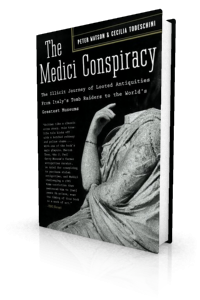 Filled with great characters and human drama, “The Medici Conspiracy” authoritatively exposes the latest and most shameful round yet in one of the oldest games in the world: theft, smuggling and duplicitous dealing, all in the name of art. "A true-life thriller rich in documentation and proof."